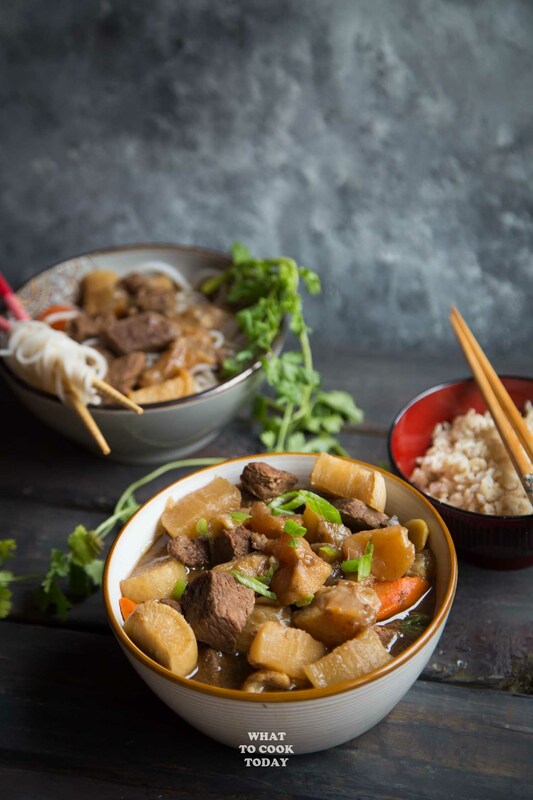 Pressure Cooker Tendon Beef Stew with Tendon and Daikon – Beef brisket, beef tendon, and daikon are pressured cooked in spices and seasonings. 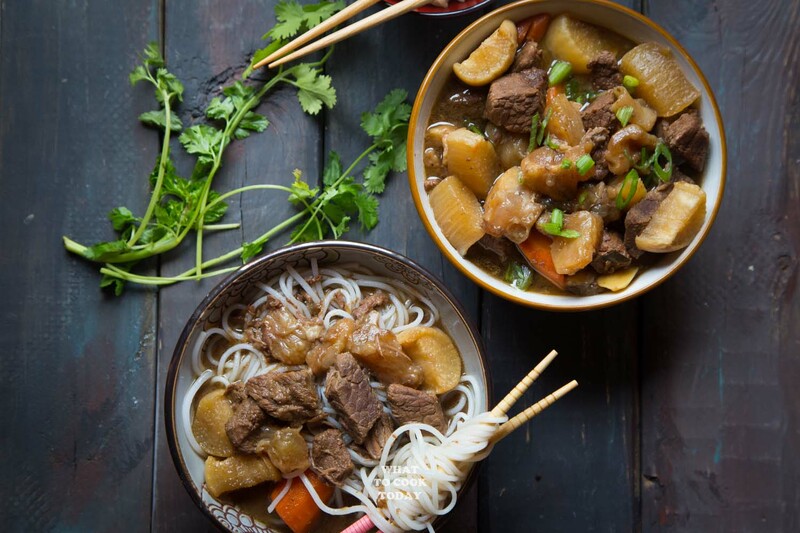 Save so much time by pressure cooking to make this beef stew with tendon. Yes I know, the Asians eat weird stuff ha..ha..! kidney, and offals. We love to order beef tendon and daikon stew when we go for a dim sum. 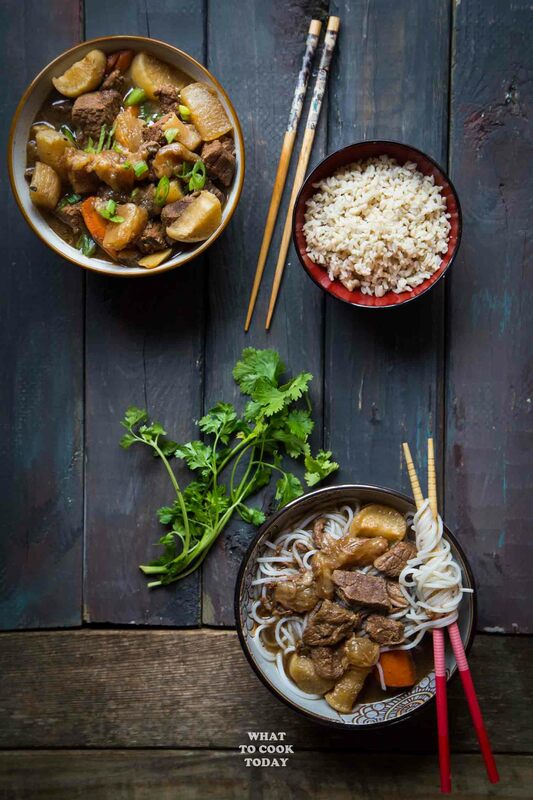 The Cantonese style of beef tendon stew is usually with the soup slightly thickened. This pressure cooker beef stew with tendon and daikon is inspired by that but I didn’t thickened the soup so I can serve it with noodles too. It’s really up to you! 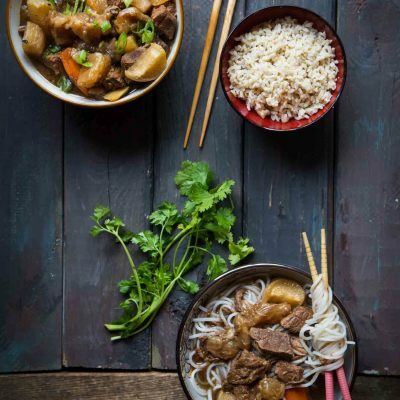 WHAT IS SO DESIRABLE ABOUT BEEF TENDON? 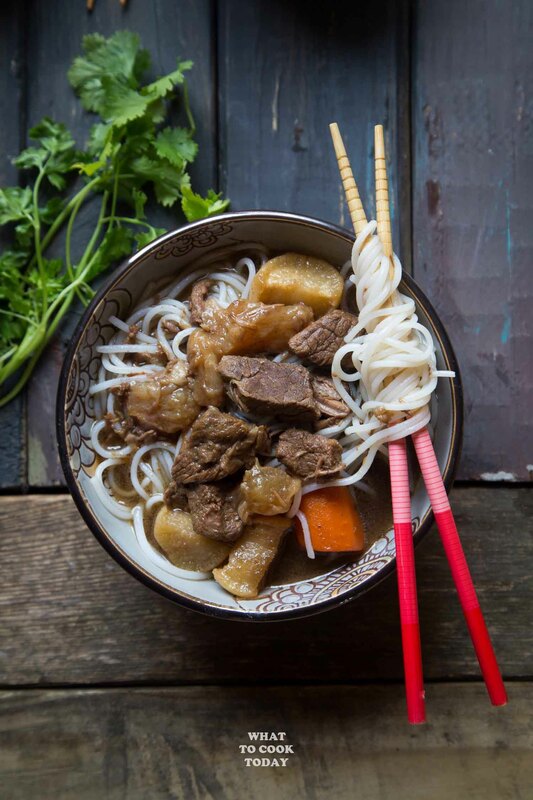 Just like the tendon in human, beef tendon is also a flexible but inelastic cord of strong fibrous collagen tissue. It doesn’t have any taste or flavor of its own. It is perfect for a stew because it picks up whatever flavors it is cooked in. It turns so soft and full of flavor after being cooked. 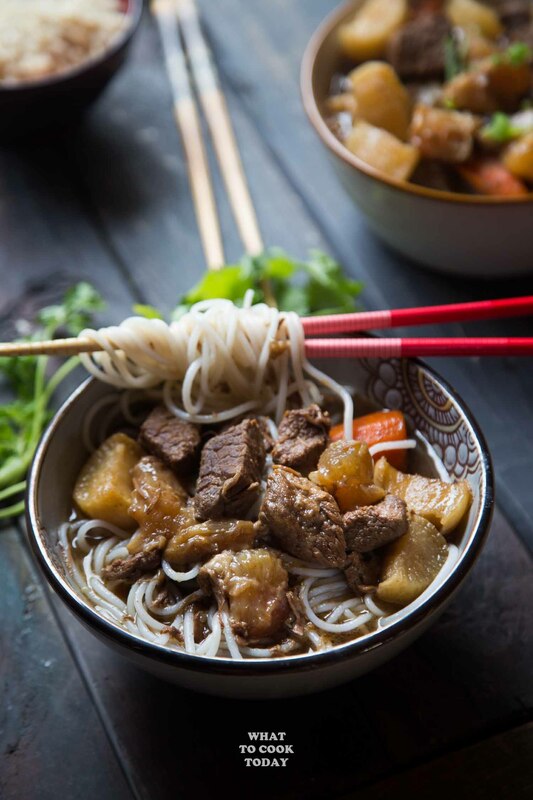 Beef brisket, beef tendon, and daikon are pressured cooked in spices and seasonings. 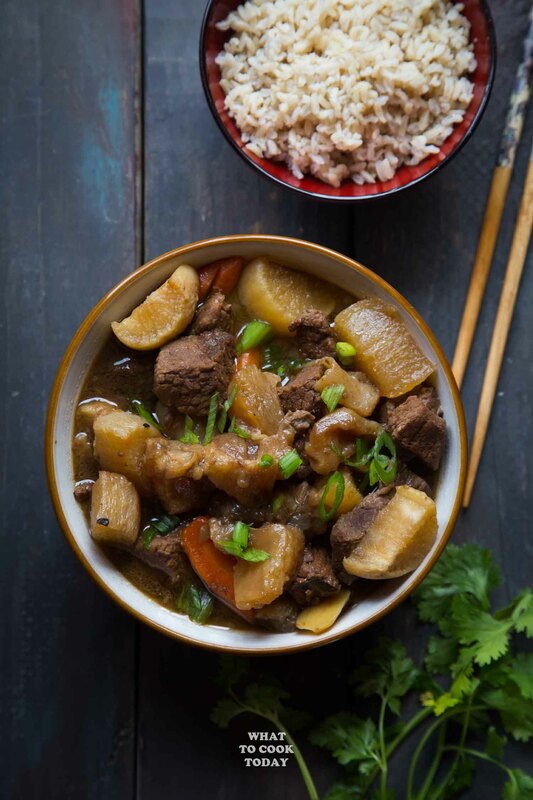 Save so much time by pressure cooking to make this beef stew with tendon.